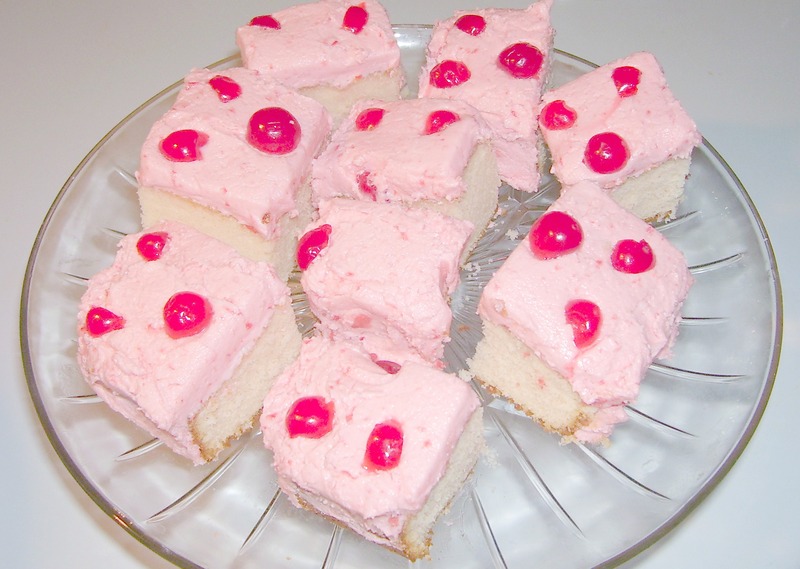 Maraschino Cherry Cake Recipe. Bake in a square pan, frost with Maraschino Cherry Cream Cheese Frosting and cut into squares or bars for a luscious dessert at your next special dinner or party. This old fashioned cake recipe from scratch, makes a fine grained, beautiful and scrumptious cake that is perfect for a birthday or baby shower cake. 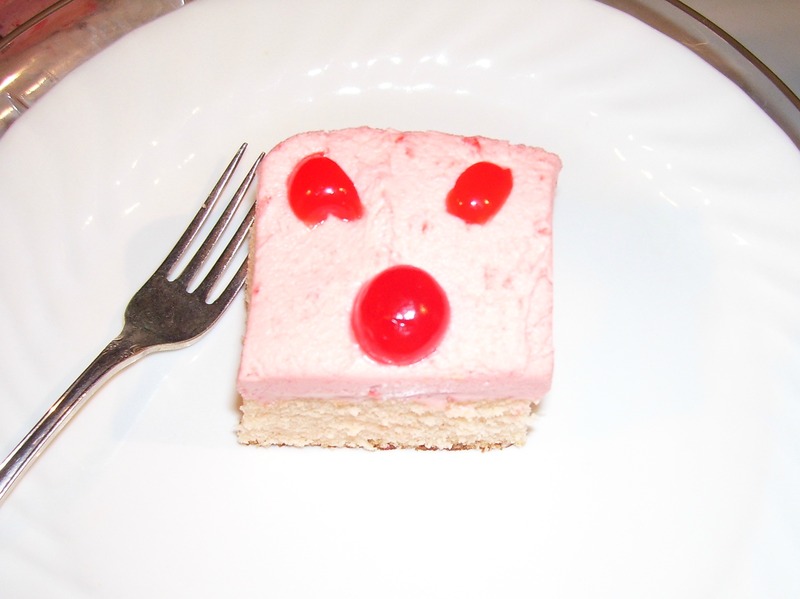 Double or triple this Maraschino Cherry Cake Recipe to make extra servings as needed. The Maraschino Cherry has quite an intriguing history which I share with you at the end of this article. Take butter and eggs out of refrigerator to set until they reach room temperature. I usually take my butter out and place it in the stand mixing bowl to set while I prepare my other ingredients and pans. I crack my eggs into a small custard cup to set out. Doing this allows your ingredients reach room temperature quickly. Cream butter on medium speed a few seconds. Add eggs one at a time, beating on high speed after each addition. Scrape down sides and bottom and add Maraschino Cherry juice and beat all on high speed until light and fluffy. Fold in flour mixture and evaporated milk alternately, mixing lightly after each addition. Mix on medium speed for about 30-40 seconds, just to mix well and scrape down sides and bottom of bowl. Butter the bottom and sides of an 8"x8" square cake pan. Line the bottom with parchment paper and butter it. Lightly sprinkle flour on parchment paper and sides of pan. Pour batter into pan getting batter into the corners. Smooth top with a spoon or spatula. Tap sides of the pan lightly to help even the batter for a smooth top. Bake in a preheated 325F. oven 35-40 minutes or until cake is lightly browned and center of cake tests done when probed with a toothpick. (The sides of cake should be loosening from pan before testing with the toothpick). When done in the center, remove cake from oven and let set 10 minutes to cool. Invert cake onto a cooling rack and let cool completely before frosting. Cream butter and cream cheese on medium speed. Spoon in a little of the sifted powdered sugar at a time, beating after each addition. (Save out 1/2-1 cup powdered sugar in case you add too much cherry juice and need it to thicken the frosting). Save as many of the best looking cherries that you would like to use to decorate the cake. Chop the rest. Add to frosting. Add cherry juice as needed to make the frosting a spreading consistency. If frosting is to stiff to spread, add more cherry juice. If it is too soft to hold a peak, **add a little more powdered sugar. Fold in pecan or walnut pieces, if using. Can also use almond nuts. Frost cake and cut into squares, rectangle bars or diamond shapes. You can frost the sides of your cut pieces if you prefer, or leave the sides not frosted, especially if your quest will be picking them up with their fingers to eat. You also can make this Maraschino Cherry Cake Recipe into two layers by splitting the cake horizontally. Then cut the cake in wedges. The Maraschino Cherry is a "real" cherry fruit. However, it is quite different from cherry directly from the tree. The cherry was cultivated from and named from the wild marasca cherry, which is a bitter fruit. These cherries, growing in Oregon, could not be shipped to the east USA coast because of rapid deterioration. So they were preserved in a liquor, fermented from the fruit itself. The Pure Food and Drug Act identified the Maraschino Cherry in 1906 as "cherries bottled in maraschino liquor, oil of almonds and glucose". After "Prohibition" (the banning of alcohol use) in the United States (1920-1933) a scientist at Oregon State University developed a method to preserve Maraschino Cherries in a sugar syrup without alcohol. Professor Ernest Wiegand at Oregon State University perfected the modern process. The real, light colored fruit is first bleached in a food safe solution then marinated in a colored (mostly red or green) sugar syrup made from cherries, almonds and sometimes various parts of walnuts. This formula improved the soft consistency of the cherries that was preserved in alcohol along. 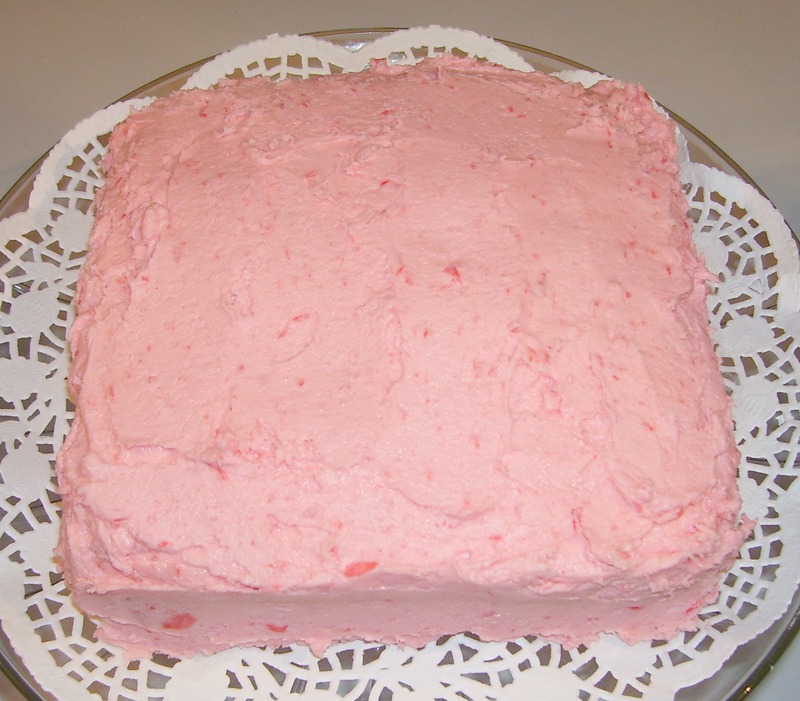 In 1947, Betty Crocker developed a Maraschino Cherry Cake Recipe.